The Oregon Folklife Network (OFN) is proud to present its new exhibit Buckaroo Traditions of Oregon. This exhibit celebrates the continuity of occupational traditions in rural Oregon and encourages audience understanding and appreciation of art forms arising from ranching practices. The exhibit was made possible by funding from the National Endowment for the Arts and the fieldwork of folklorists Douglas Manger and LuAnne Kozma. Featuring artists from Malheur, Harney and Lake counties, the exhibit traces the development from vaquero to buckaroo and promotes the work of some of Oregon’s finest gear makers. Cowboys have made an enduring mark on the American popular imagination, but not every cowboy is a buckaroo. What sets them apart? In addition to their sense of style and self-sufficiency, buckaroos work almost exclusively from horseback in the manner of their vaquero predecessors. 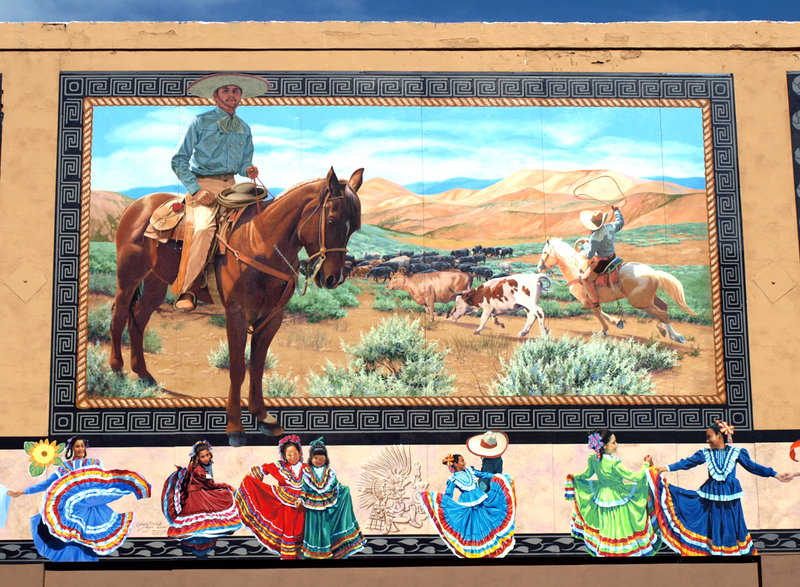 In the Great Basin, knowledge of many vaquero and buckaroo traditions have been passed along through families and become integrated into the lives of working ranchers and horsemen. Buckaroos are unique in their use of extensive horse training techniques and custom handcrafted gear, including traditional saddles featuring intricate leather- and silverwork as well as mecates (ropes) made from horse mane hair and braided rawhide reatas (lassos). Some of the most vibrant examples of buckaroo artistic traditions are thriving in rural eastern and southern Oregon, despite their decline elsewhere. Buckaroo Traditions of Oregon features a hackamore from the workshop of Bill and Teresa Black, mecates by Merlin Rupp and Helen Dougal Corbari, and the tooled leatherwork of saddle makers Steve McKay and Len Babb. Each of these pieces represents a unique blend of hard work and artistry. Buckaroo Traditions of Oregon is on display now in the OFN exhibit cases on the second floor of UO Knight Library, Room 242.